Not the cheapest option I'll offer you this year, but the bang for the buck here is excellent. I assume you've stopped paying attention to the Lions, but Matthew Stafford has been on fire in his last three games, averaging 300 yards a game, a 70% completion percentage and posting a 7 to 1 TD to interception ratio. Green Bay isn't a great matchup, but they haven't exactly played a murders row of QBs (hey Josh Allen and Mitchell Trubisky.) Stafford is on another plane and the Lions have too many weapons on offense to be contained. This is a pretty low price point for a running back touching the ball an average of 14 times a game. And while the Jets have been solid against the run, look for Lindsey to be even more involved in the passing game. He's splitting both time and red zone touches with Royce Freeman and has significantly more upside due to his speed and big play potential. Hope that Case Keenum and the offense put up enough points to allow Lindsey a big day. Here's an extremely lukewarm take, I don't think Derrick Henry is very good. That and the Titans run blocking definitely isn't good. So, yeah suggesting a running back here is a bold strategy. But Dion Lewis has been extremely active in the passing game and is on track for a 70 catch season. That sets his floor high, and in a favorable matchup against the Bills, he has reasonable upside. $5,700 is a low price to play for a player who won't crater your team but could also help you win some serious cash. This price reflects the fact that there are only so many targets to go around in the Lions offense, not how impressive Kenny Golladay has been in 2018. The second year player has been absolutely uncoverable, and playing with Golden Tate and Marvin Jones means that the intermediate routes are single covered and often open. While he was fourth in targets last week, but he has been second or third in each of the first three weeks. You are hoping for a score here, but again, the floor is high. This is the week that Dede Westbrook is finally going to force FanDuel to price him above $6,000. While he has largely been hit or miss this season for fantasy, he has become Blake Bortles go to wide receiver and is rising to the top of the depth chart in Jacksonville. Kansas City's prolific offense has masked the fact that it's defense has been terrible so far, and the secondary is ripe for the taking. Jacksonville might be forced to air it out in this matchup, and extended targets means a big day for Dede. 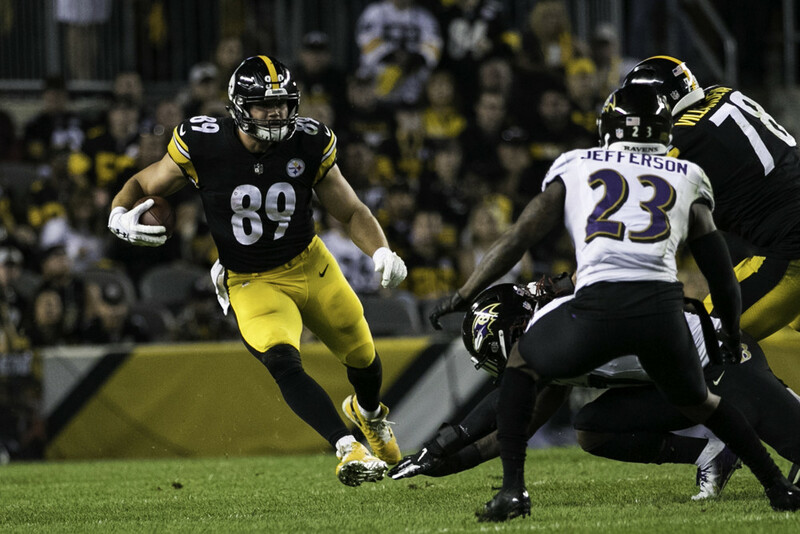 A rarely used pass catching option in both San Francisco and Pittsburgh, Vance McDonald has burst onto the scene after a hellacious stiff arm that almost retired Chris Conte. But McDonald appears to be more than a one hit wonder, and his blocking versus route running snaps have completely flipped. He is now a top 3 passing option on a team with a good quarterback and no running game. With this bottom line price, McDonald is well worth a play.